Last.fm, an online music station of sorts, has a channel dedicated to Kortatu and similar artists. I haven’t spent a lot of time with it yet, but if you are looking for some classic Basque rock, tune in here. OK, this one I’m not sure what to make of… the concept looks intriguing, but I don’t think I understand it well enough. Baskinbox seems to be a Basque gift box, with information about food, hotels, recreation, etc. But, I’m not quite sure what is actually included in the box. Can anyone help me out? Aimee Eiguren, a very distant cousin of mine on my mom’s side, has a blog of her own, Bowl of Soul. In her most recent post, she describes her first trip to Euskadi to visit the homes of her ancestors and shares a great recipe for Basque Omelette. NABO, the North American Basque Organization, tries to help the various Basque clubs in efforts that are too big for any individual club. This includes organizing summer camps for kids, hosting the national Mus championship, and much more. On this page, they describe the ongoing effort to create a Basque Studies Consortium, the goal of which is to create a clearing house, of sorts, for Basque Studies, a place people can go and see what the most recent research in areas related to the Basques has uncovered. The Nevada State Museum recently installed a 1902 Sheepherders Wagon, built for the Campbell Ranch. According to the site, the first-ever sheepherders wagon was built by James Candlish of Wyoming in 1884, and it soon was adopted by sheepherders all over the American West. 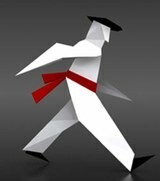 This site, which gives a number of images on bordering of different styles, also has a page dedicated to Basque bordering. 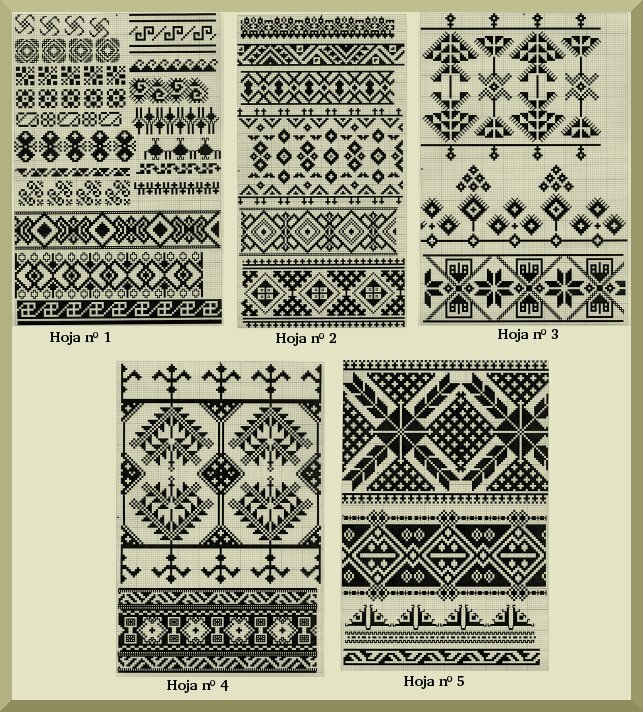 I’m not sure how useful these images or these pages would be for one doing this kind of work, but maybe in the least these patterns will inspire. An interesting little diversion, using a pattern you can download for free from this site, you can create a simple three-dimensional dodecahedron calendar in a number of languages, including Euskara. The Taller de Artesania Lorratz has a great gallery of images, including paintings, drawings and mosaics. 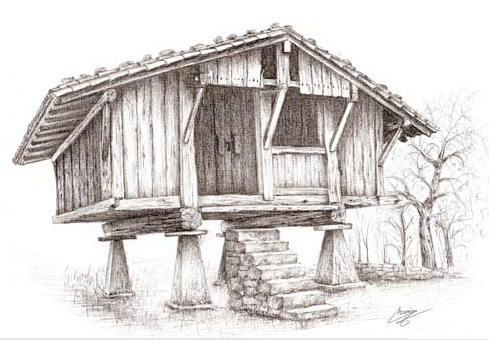 The drawings, in particular, are of Basque buildings, with baserriak, churches, castles, and even a windmill. The images are accompanied by the name and location of the building. There are also some children’s arts and crafts images. And, finally, for this update at least, NABO recently welcomed a new member to its fold. Euskaldunak: Association des Basques du Quebec is the latest club to both become part of NABO and put a presence on the web. The page, in both French and Euskara, seems to be still a work in progress, but there are photos and announcements regarding the group’s recent events. Zorionak! every box offer a choice between 40 offers in hotels, restaurants, spa or sports in the Bask Country. So in your box, you have a description of each offer. You pay with the bill you have at the end of the box. Thanks Philippe for the explanation. I had gotten your email explaining it to me, but I just haven’t had a chance to respond yet, so I appreciate you posting to the blog.